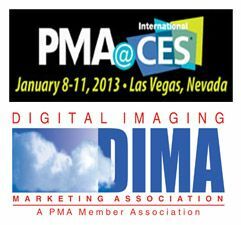 DIMA 2013 programming, held at Bally’s Las Vegas, will feature tracks in Retail Strategy, Trends & Technology, Social Media, Photo Publishing, and Business Management and Marketing. The event includes two days of topnotch presenters in the industry, including Georgia McCabe, Kevin Kubota, Erin Manning, Frank Baillargeon, Jeff Medford, Ross Hockrow and Linda Talley. Erin Manning is a pro photographer, author, educator and media personality. TV viewers know her best as the digital photography expert and host of DIY Network’s award-winning TV series The Whole Picture. In addition to creating and hosting the popular Digital Photography 101 video series, she is the author of two books. Manning will discuss how video content has become an essential online marketing tool; it persuades, informs, entertains and inspires your audience. Research shows that a great online video is 26 times more effective than text alone. Manning will share her practical ideas and personal secrets for creating a simple, yet powerful video. You will learn how to: create a plan that will minimize surprises; identify your strengths and how to best translate them into eye-catching video; act natural on camera; dress effectively and how to pose yourself for maximum effect; light and compose your shots to draw your viewers in; edit your video; and optimize your video to increase your chances of going viral. Frank Baillargeon—after 11 years as president of [F/22] Consulting and 36 years in the consumer photographic industry—joined a leading manufacturer of consumer photographic decor products in February. As president of Jondo his primary focus is to drive revenue growth by providing market-leading imaging output quality, timeliness and innovation via strategic partnerships in the U.S. and other international markets. Baillargeon will share his expertise in retail and centralized consumer photo finishing systems, consumer photo market trends and forecasts, product development and launch, marketing and merchandising support, go-2-market planning, account management training, sales training and event speaking. He will focus on the unprecedented opportunity for retailers from the growth in smartphones and tablets, mobile commerce platforms and the demand for personalized output. He will also tell you how to shift your retail mindset to capitalize on this opportunity. You can take part in one segment or all four of the social media bootcamps led by Georgia McCabe, a social media marketing maven. A member of the photo industry for years, McCabe is the leading authority on social media strategy and technology for photographers worldwide. Whether you’re a brick-and-mortar shop or a web-based business, Google and Facebook are the two networks where you’ll be searched for first. With so many conversations regarding purchasing now happening online, you can either let online conversations take place without you or you can contribute value and build critical relationships by participating. The days of simply collecting “likes” are gone. The mantra for 2013 is all about quality versus quantity. Learn how different content strategies create different levels of engagement and lead to greater conversations and stronger relationships. Attend this session and learn the top 20 tactics you should have on your plan, ranging from SEO to website review and design, blogging and e-mailing. How will you know if you’ve reached your destination if you don’t know where you’re going? You’ll learn how measurement tools and analysis of your social presence will yield important information regarding your online efficacy. Award-winning author and international speaker, Jimmy Lamb has extensive knowledge in many facets of digital decorating and embellishing, including business start-up, applications, techniques, marketing, sales, mobile, digitizing, production and management. He has owned a successful production facility, started a retail franchise and provided production solutions to Fortune 500 corporations. His articles appear in industry magazines and he is a frequent speaker at industry events domestically and internationally. In this session, Lamb will discuss how life events—births, weddings, holidays, graduations and even deaths—present opportunities for photo-centric gifts and commemorations. He’ll explain how digital processes, such as sublimation, are the key to quickly and easily producing high-margin personalized products that capture the memory and preserve it forever, using unique substrates like wood, metal, stone, glass, acrylic and ceramics. Learn what the most popular products are, how they are made and how to position them in the marketplace. David Bever is a Certified Professional Photographer and owner of dB L.A. Photo, a Redondo Beach, California, photo services company specializing in event and fashion/product photography. With an MBA, Bever utilizes his educational background and experience to provide personalized strategy and business planning education and workshops. In addition, he applies his 25 years of experience in teaching studio lighting and leading outdoor photographic adventures for the Creative Photo Academy at Paul’s Photo, located in Torrance, California. In this session, Bever will discuss the strategies for successfully owning and operating a brick-and-mortar establishment in the era of Internet and big-box-store competition. Understanding how to create an effective and differentiated strategic plan can make the difference between growing your business or closing your doors, and this workshop will discuss evaluating the business environment, creating a strong strategy with a vision of the future, and creating a strategic marketing plan that can be successfully implemented.